December 9, 2003 From childhood on, Marilyn Lerner developed a love for reading, writing, poetry and the arts. After graduating Roxbury High School in Boston, MA, she studied dance and theater arts at Boston University, further nurturing her love for music and the arts. Before her marriage she worked for three years as a research analyst for the Massachusetts Department of Investment Securities. 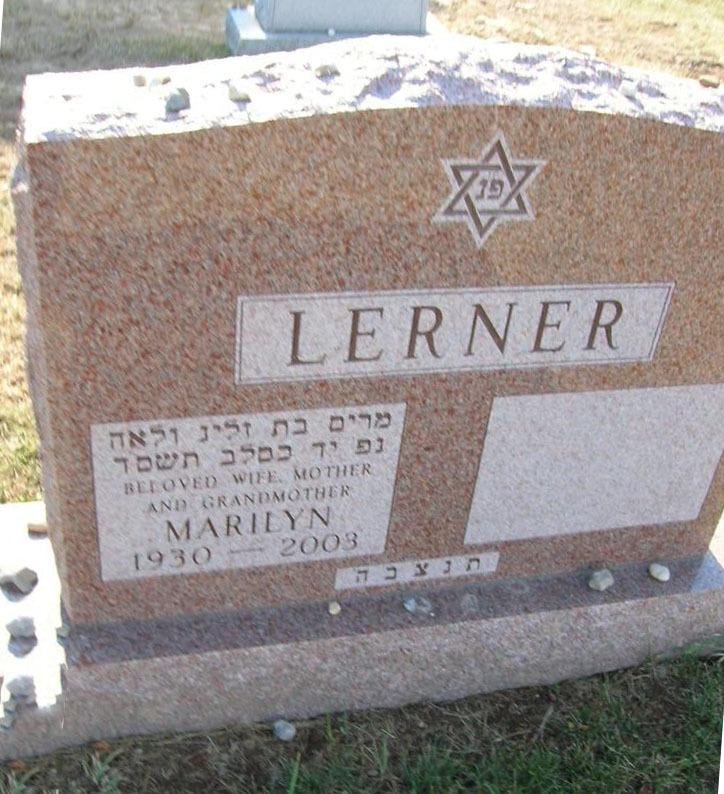 In 1952 she married Cantor Harold Lerner and the couple was called to Syracuse, NY, where for the next 40 years they served at Temple Adath Yeshurun, one of Central New York\\'s largest Jewish congregations. It was during those years that Mrs. Lerner became nationally recognized for her lifelong love and devotion to writing poetry. She was poetry editor of Rapport Magazine and was published frequently in Comstock Writer\\'s Potpourri, and other anthologies. As a prize-winning poet, she became a member of National League of American Pen Women, and was published several times in their journal. One of her strongest passions was listening to great music. She had an uncanny ability to identify hundreds of pieces of music after hearing no more than a few bars of the opening strains. She became a valued musical consultant to her husband, often selecting classical musical themes which frequently found their way into the music of the synagogue. Her love of the arts was eclectic and boundless. She loved to paint and she dabbled in composing as well. One of her songs called "Moment of Love" was sent to the great tenor Luciano Pavarotti for his appraisal, and prompted a lovely letter of encouragement which she treasured. More recently, Mrs. Lerner developed an interest in designing jewelry using organic gemstones gathered from all over the world. She started a small business called Design Mara with an exclusive following in Florida and Atlanta. She was a member of several Syracuse Jewish women\\'s organizations, among them Hadassah and National Council of Jewish Women. Mrs. Lerner is survived by: Cantor Harold Lerner, her husband of 51 years; two daughters, Jamie Gabriel (Charles D.) of Atlanta, GA, Lisa Lerner of New York City; two grandchildren, Jenna and Matthew Gabriel; a brother Jerome Robbins of Florida; and two nieces, Janice and Laurel. 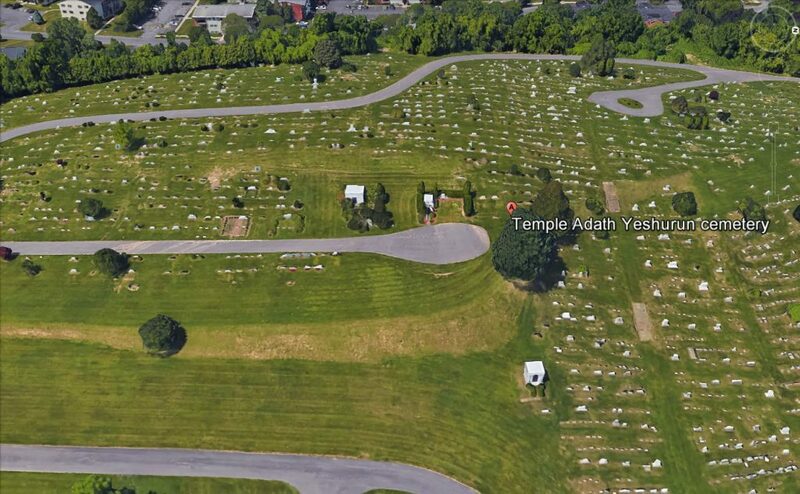 Funeral services will be 2 p.m. Friday at Temple Adath Yeshurun, 450 Kimber Rd., Syracuse. Calling hours will be Friday from 1 to 2 p.m. at the temple. Burial will be in Adath Yeshurun Cemetery. Donations are encouraged to all forms of cancer research. birnbaum funeral service inc.